The discharge of organic dye into environment is the threat to hydrosphere and biosphere. On the other hands, the agriculture solid wastes such walnut and almond shells pose serious pollutions in lithosphere and atmosphere when burned. The aim of present investigation is to fabricate microporous activated carbon from agriculture waste shells by microwave irradiation as efficient adsorbent to overcome these problems. Firstly, zinc chloride was impregnated into milled shell particles, 300 μm, by conventional and microwave-assisted techniques and then the dry precursors were heated in the closed and open ceramic vessels in air and nitrogen atmospheres. The experimental investigation was carried out to understand the roles of different fabrication factors such as shell particle size, catalyst impregnation ratio, microwave power, carbonization temperature, and atmosphere on cationic dye removal from wastewater. The mentioned factors efficiently affect the dye removal onto obtained activated carbon. The increase in the microwave power up to 600 W could effectively increase the dye removal. However, the higher powers inversely affect the removal efficiency. The equilibrium data were well fitted by Langmuir equation with high linear regression coefficients in which the maximum adsorption capacities of activated carbon produced by walnut and almond shells were determined to be 98 and 114 mg/g, respectively. The most prominent advantage of activated carbon produced from almond shell is lower content of catalyst employed in impregnation stage. 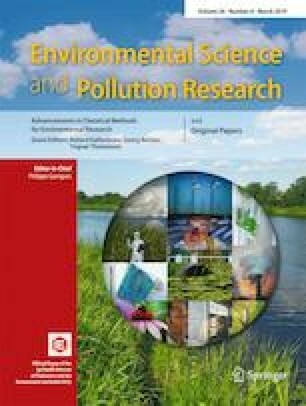 Although the larger particles of solid waste were applied, the spongy nature with average pore diameter of 2.4 nm is the unique characteristic of activated carbon fabricated from almond shell which improves the performance of adsorbent in wastewater treatment. Springer Nature remains neutral with regard tojurisdictional claims in published maps and institutionalaffiliations.